Your event decor has all been planned out, but don’t forget the podium! AV for You has Podiums (aka Lecterns) available to rent. We are full service shop and we will set up the staging at your event to your liking. 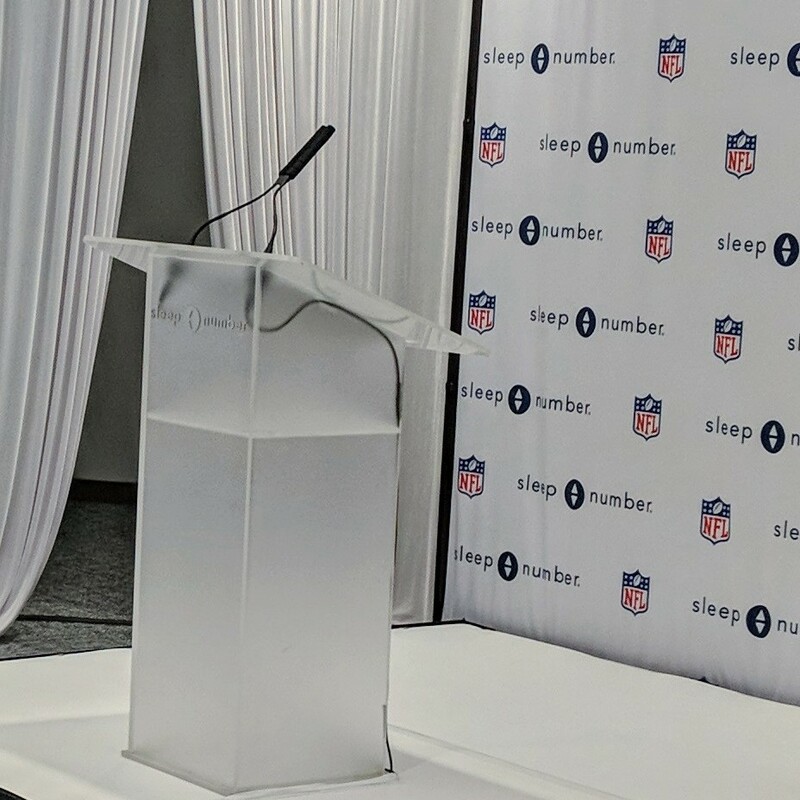 Whether it's our Frosted Podium with uplighting, a sturdy silver Truss Podium or the classic Wood Podium, AV for You has the right podium to match the aesthetics at any event. We can set up the podium for you (if you add uplighting on it or have additional AV/lighting/staging components to your order), drop it off for you to set up or you can even swing by our shop to pick up the Podium. AV for You is proud to serve Minnesota with heavy focus in the metro region (Minneapolis & St. Paul).